SKY Waikīkī kicked off an invitation-only VIP event on Aug. 28. Caitlyn Jenner’s son, Brody Jenner, was a celebrity guest DJ for the event. Other celebrity appearances included actress Victoria Justice, former NFL player Terrell Owens, actress Kelly Monaco and dancer Cheryl Burke. 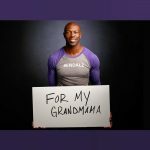 What happens when you mix a former professional football legend with two professional drinkers?…It becomes a “Game Changer!” Watch and see why Terrell Owens is now our favorite bartender as we chat with him about our big night out, his new clothing line and how to burn off all those dranks! TOUCHDOWN!